Rebecca Collis is well loved at the club. Why? 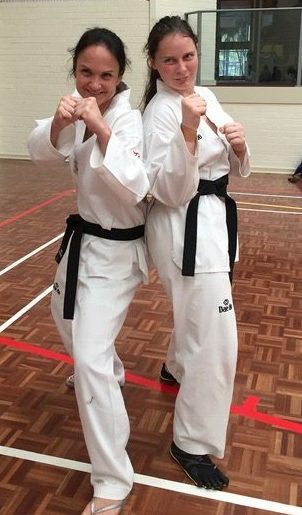 Its not just that she is part of our Taekwondo Central Black Belt Team but as I discovered Rebecca has a hidden skill. Finding her to be a library of knowledge in her field, I asked if she would be interested in any advice she could offer the training black belt (or black belt to be) on getting more from our bodies. Its a great read. Please Enjoy. Please allow me to introduce myself. 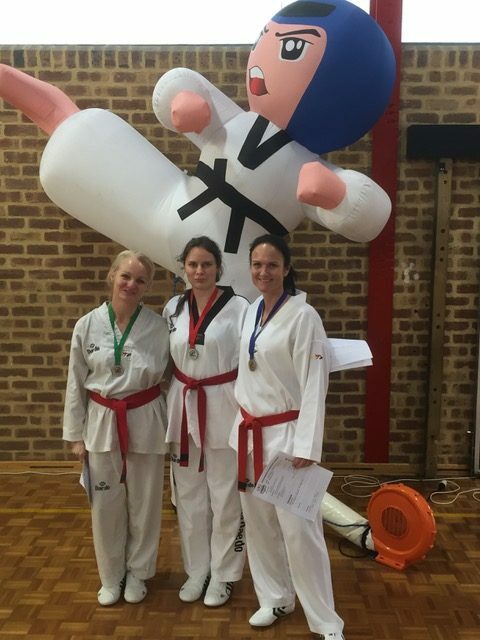 I am a Remedial Therapist by day, specialising in combined modality treatment of neuromuscular conditions and functional movement rehabilitation, and a tae kwon do kicker by night. I am one of the Blackbelts from the Bunbury Open TKD class at the SWSC. I started training 4 years ago for self defence and stress relief and let me tell you, it’s grown to become a defining and integral part of my life that I wouldn’t ever be without. I didn’t really know what to do or say when Master Justin asked me to contribute something to the website. How do I bring something of interest and value to the forefront of your screens when communications has never been my natural arena? Well, factoids, numbers and common sense have seen me well in the past, so here goes. Coming to the club as an adult, I understand how much training can mean to all of us, and how much an injury on or off the floor can impact our lives. We’re busy people who can’t afford time off from work, family, or anything. So here are a few tips to help you train better tonight and in the years to come. Would you still like to be doing awesome TKD kick-drills at 80 years old? I know I would. 30% of individuals over the age of 65 will experience at least one fall a year and in the same age category, falls are the leading cause of hospitalisations*. As we age, our muscles deteriorate but the muscles we strengthen for tae kwon do are the muscles that protect us from falls. Yep. Strong and adaptable core muscles, glutes, hip flexors, and hamstrings will mean you are stable on your feet and have the ability to get back up if you do fall. Exercise triggers a natural response in your body that increased bone density* this means risks associated with osteoporosis and natural bone weakening occurring with age is reduced, so if you do fall as you get older, you are less likely to break something. Not to mention the protective and preventative qualities of hand-eye coordination based exercise on cognitive decline*. So in short: exercise like TKD can help you to live better for longer. We’ve all heard it before: Lift that knee! Rotate your lower foot! Pivot more! When the Instructors give these tips during body kick/flick kick drills, they’re not just being pedantic, it is because they want you to have a long and successful career in martial arts. Rotating your weight-bearing foot to the angles specified by the instructor minimises the strain on the ligaments in your ankle and knee while providing the most support for your body with a direct line for the kinetic energy to travel. It also works specifically to strengthen some of the muscles most important for protecting those joints. In plain English, using proper technique might be more difficult to start with, but it keeps you from hurting yourself while practicing and living. Please note: this may not initially be possible for you if you are starting TKD later in life or working a desk job due to changes in muscle and tendon adaptability. It will be a goal you work towards just like any other. Listen to your body. Minimise risk to you, maximise satisfaction from hitting that target! It’s all in how you respond after the event, that’s what counts. Basic first aid is not hard to learn, you can ask your local chemist, or even attend a short course from St Johns ambulance for just a couple of hours if you are really concerned. All our instructors are trained in first aid but you can help them out too. We all keep that box of band-aids in the cupboard, this is just an extension of that forethought, that preparedness. Here’s a quick and easy one for you though: with tae kwon do, the most serious I’ve seen at our club is a hamstring tendon strain. When an injury does occur. It’s important to give your body the support and time it needs to heal properly. I know that sounds tedious (and very much in the ‘nagging’ area). Most of the time, a minor injury will have no bearing whatsoever on your life and training. When an injury is slightly more serious, take the time to make yourself a priority. If you handle the problem right the first time, it won’t develop into a bigger problem later. Professional help If you’ve started training but aren’t getting the results you feel you should be, it might be time to get an outside opinion and a helping hand. Let me prefix this by stating that it doesn’t need to be with me. There are many highly skilled health care professionals who are qualified to help you treat your aches and pains, improve your training and recovery times, and general well-being. 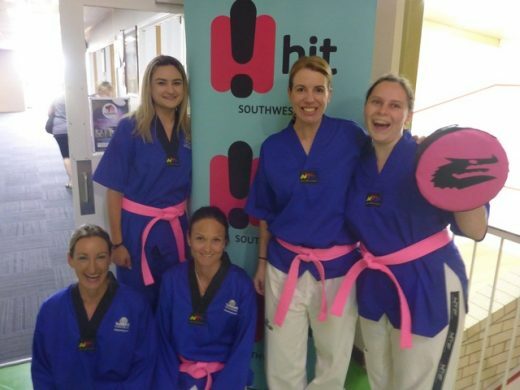 If you are based in Bunbury than I cannot recommend enough the skilled therapists at Cloud9 wellness on Spencer Street (FYI where instructor Ajana and her skilled lady warriors practice on Wednesdays). Bruce from Laughing Buddha Acupuncture has fixed me up more times than I can count. As a TKD practitioner myself, I do have some insight into the most common injuries (finger, wrist, knee and ankle sprains. Calf and Hamstring tendon strains) and complaints (hip soreness, upper shoulder and neck tension and soreness, 1 day post training full body ‘so sore I can’t move’) found in TKD. Working with a skilled professional to remedy a problem, overcome an injury or shortfall can make the difference you’re looking for. For those who are interested, I run a clinic 2 days a week in Donnybrook. I’m experienced in treating stress, muscle spasms and strains, shin splints, headaches, growing pains, breathing difficulties, muscle imbalances, postural conditions, nerve injuries, sports injuries, repetitive strain injuries and degenerative conditions among other things. Treatments can include a variety of massage techniques, Emmett, Lymphatic Drainage, Bowen, joint mobilisations, stretches, muscle/joint taping, hydrotherapy and rehab exercises. From the first appointment I had with Rebecca, I knew she was someone I wanted as part of my recovery routine. From muscle fatigue to better sleeping, injury management or just therapy. I recognise the traits that show, this is a fellow human who knows their craft. I distinctly remember after my first session I sat up and felt this gentle clicking noise going up my back. I was like my spine was resetting as it was so relaxed. I stood up. No pain, Easier breathing and my body felt centred and balanced. Its a great feeling. I felt comfortable, relaxed and in safe hands. Dealing with injuries from my past full contact sport days and still training in my late 40’s. Rebecca will be a major piece of the puzzle that keeps me in tune to continue doing what I love to do and my ongoing greater personal goal of achieving Grandmaster status in Taekwondo. Thanks Rebecca. There are many reasons why I love having Rebecca do my massages. Not only is she a wonderful lady I’ve known for years. She is a great listener to what’s going on with your body. She get a full undertaking of your injury or ache and what you may have done to cause it. Rebecca not only gives you a wonderful massage and never lets you walk away without stretches and techniques to better your problem, Even having you repeat it back to make sure you haven’t forgotten anything haha. She makes the environment very relaxing with lovely music and scents. I almost fall asleep every time. Living a very active lifestyle, and running a small personal training business looking after my body is extremely important. If it’s not functioning properly I cant work. Rebecca is my first personal choice when it comes to massage. I’m happy to admit that I’m incredibly fussy when it comes who I let look after my most valuable asset. Rebecca has an immense knowledge base and it’s easy to see how passionate and dedicated she is when it comes to her work and her clients. She truly cares and takes the time to listen and thoroughly gather all the information she needs to give you the best treatment and outcome she can. Every massage and treatment Rebecca has given me has left me feeling relaxed, pain free and mobile again. Her kind and beautiful demeanour only adds to what a pleasure it is to have Rebecca as part of my health routine. I absolutely and highly recommend her services.